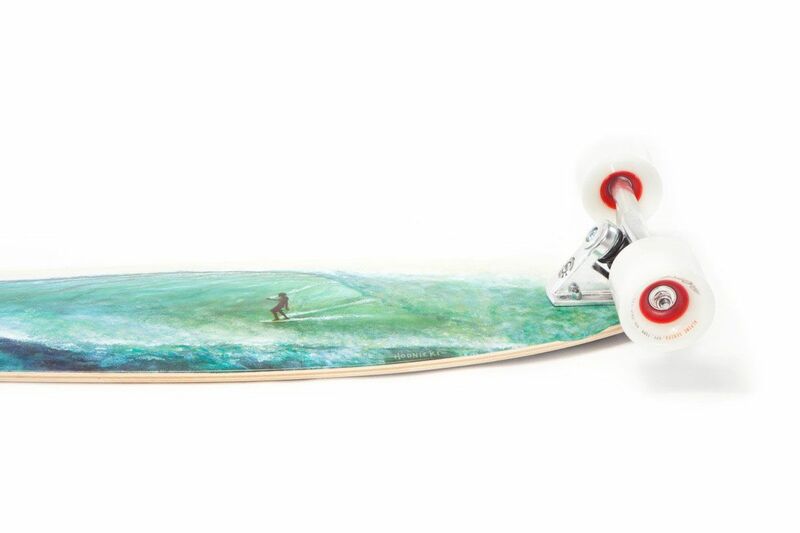 With all the attributes of a one board cruising-carving quiver, the Pintail 40 is an all around crowd pleaser. 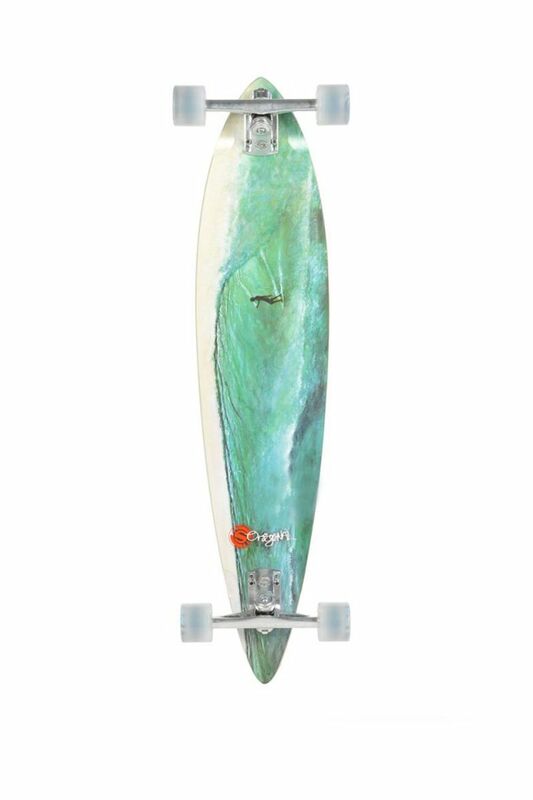 This Pintail is 40 inches of stable platform designed for controlled cruising and premium carving. 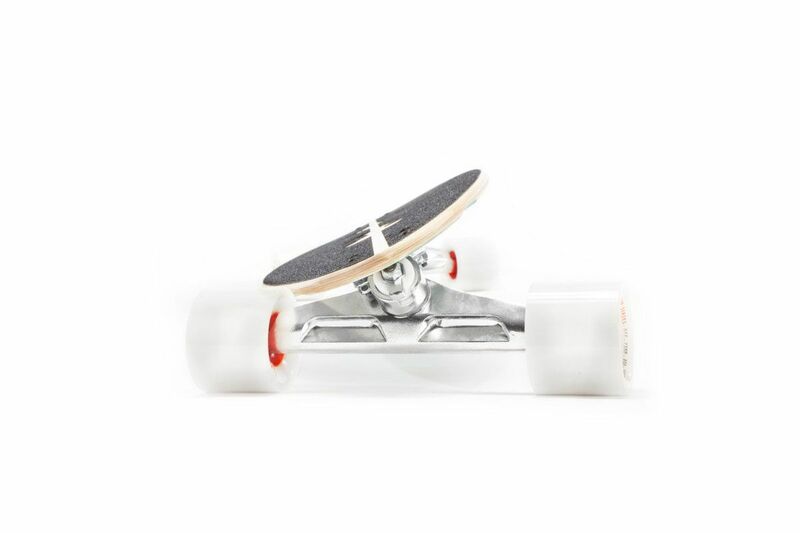 Mounted standard with Original S8, 200mm, carving trucks and without risers, it sits low on wider trucks. The Pintail 40 dishes out a new level of cruising and carving performance with serious visual stylings to boot, thanks to our friend and artist, Joe Hodnicki. 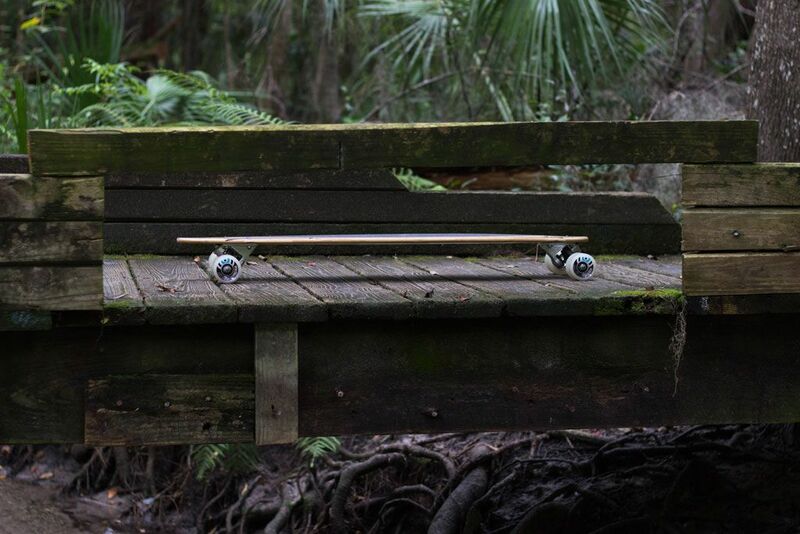 Topping out at a modest 40 inches long, the Pintail 40 falls in the shorter end of the Pintail Series. Shorter length supplies the wheelbase needed for maneuverable carving and pedestrian dodging. 40 inches is no small peanuts though and allows ample room for wider stances and stance adjustments while riding. 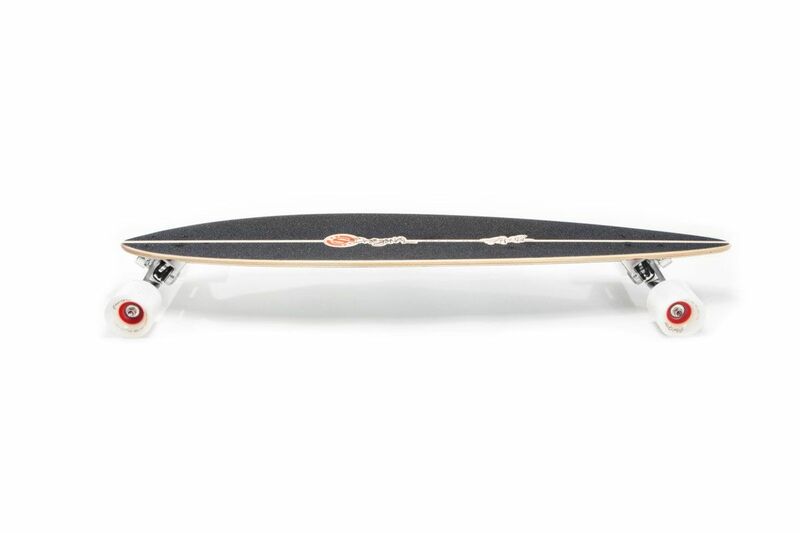 The 7 ply Canadian maple construction of the Pintail 40 supplies the perfect flex for its wheel base. Suitable for all but the biggest riders, this boards flex is responsive, but not abrasive. Think honey bee, not nest of angry hornets. 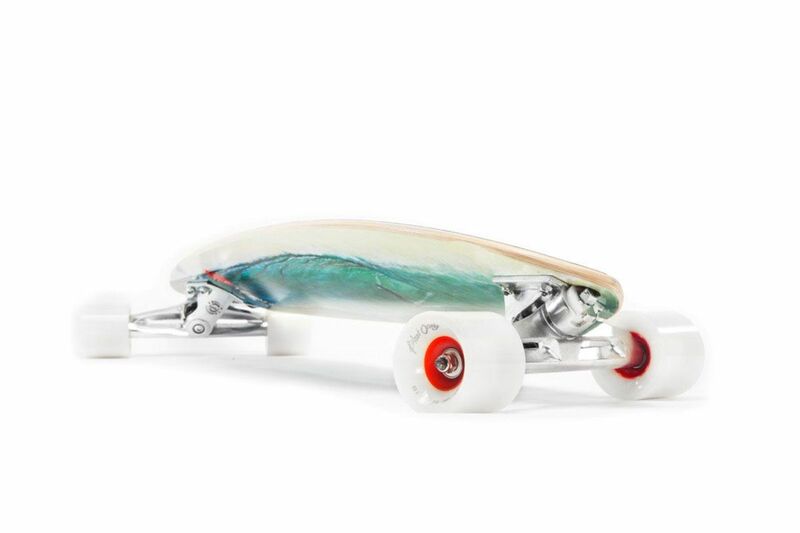 The mellow concave of the Pintail 40 keeps your feet planted right where they need to be. When you’re up to speed, you won’t have to give a second thought to your foot placement when you should be worrying about the scenery flying by. 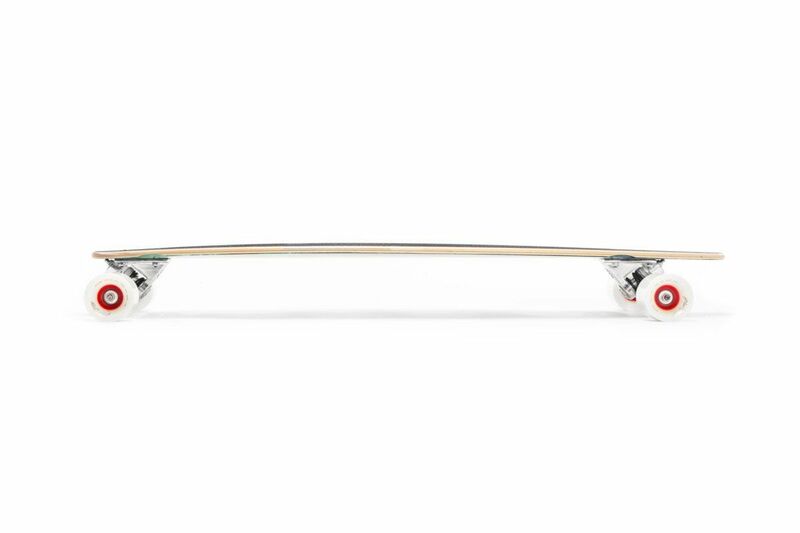 Tried and true construction, backed with our most popular trucks and finished with the best wheels and bearings, the Pintail 40 is a reliable renaissance board great for all seasons. 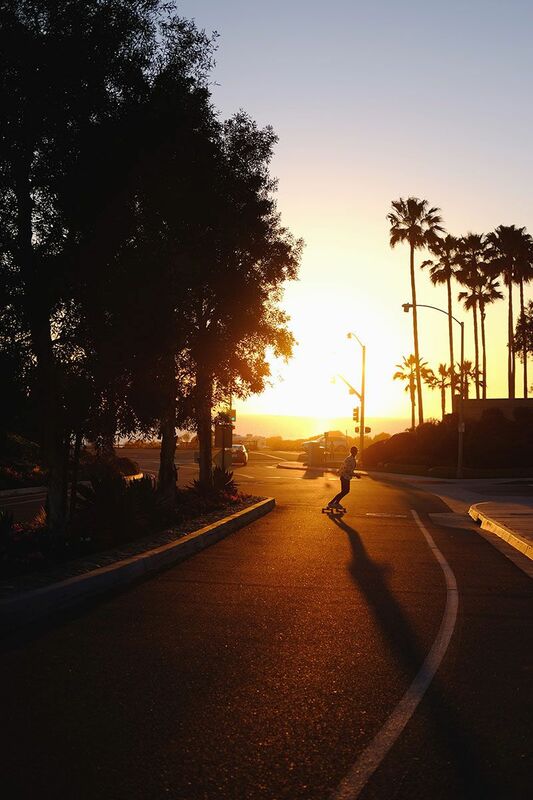 Up or down, urban or rural, left or right, the Pintail 40 can manage it all with finesse and style.With the ability to turn your home pavement into a carving playground, the Pintail 40 shines light onto overlooked asphalt. Beginner and advanced riders alike can point the Pintail down any local road and view their neighborhood from a whole new perspective.